This summer saw the return of George Miller’s post apocalyptic anti-hero Max Rockatansky in Mad Max: Fury Road. It was recently released on DVD and Blu-ray. That franchise started out as an Australian exploitation film in 1979. I ask you to go back to the year of the original Mad Max and dust off another post apocalyptic film from American auteur Robert Altman. That’s right, the same man that gave us such classics as M.A.S.H. and Nashville made a science fiction film based in an ice age in our future. The film starred Paul Newman and Bibi Andersson and was released to financial and critical failure. Sadly this film has been largely forgotten by the sands of time. Newman plays Essex, a man returning in search of his brother with his young wife, now pregnant. Essex has been away hunting in the south for nearly 12 years. In the opening scene of the film, which starts in a snowy whiteout, Essex and his wife spot a goose flying above them. 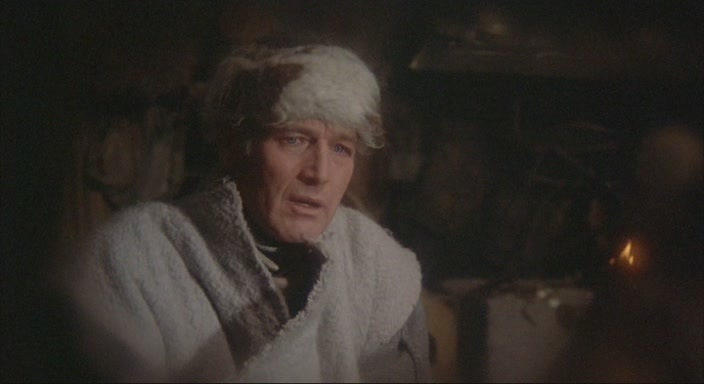 Essex claims he hasn’t seen one in many years, setting the audience up for a harsh frozen landscape that envelopes the film from start to finish. Altman uniquely glazed the outer lens of the cameras that he shot with with petroleum jelly to give the look of frost surrounding the scene. 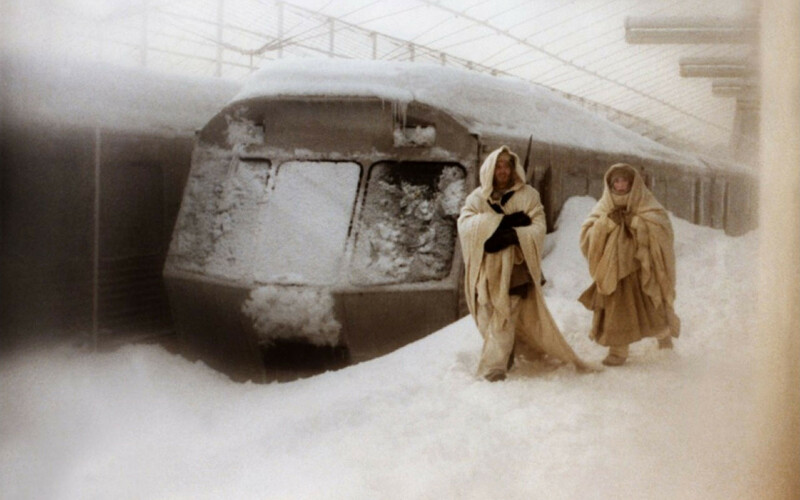 The film was shot largely on location at Montreal’s Man and His World Expo on a refrigerated set. You can see the breath that each actor exhales in every scene. 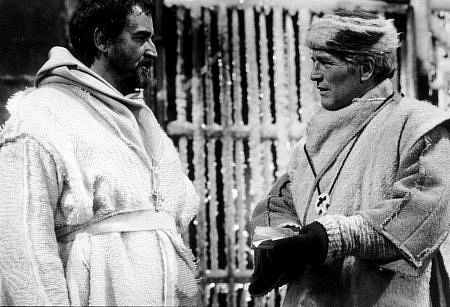 Altman instructed his crew to hose down the set every two hours to give a new glaze of ice and frost. Needless to say it was an uncomfortable shoot. Several scenes had dead bodies being devoured by feral dogs in the background. It gave the audience the feel of hopelessness, that any given week or month you could fall ill and die in the environment. Essex is eventually reunited with his brother, but not for long. The town Essex and his wife return to is obsessed with a game called Quintet, a parlor game with deadly results. When Essex goes in search of wood for heat, a pipe bomb takes the life of his brother, wife and unborn baby during a game of Quintet. He is devastated and immediately investigates the town obsession with this game. That shapes the plot to the film in general but I argue that you have to look at what lies underneath. You can write this off as just a tale of revenge, but there is more. Critics dismissed Quintet as bleak and slow-paced. But what I saw was a classic film noir mystery tucked inside this frozen landscape. Essex takes the place of the detective as he combs the town for evidence of who is behind this deadly game. The only thing he is armed with is a list of names he recovers from the man responsible for bombing the parlor that killed his wife and brother. He pretends to be one of the names on the list and infiltrates the inner circle of the game. The film even has it’s femme fatale in Anderssons character, Ambrosia. Altman had already shot his version of a Phillip Marlowe story – 1973’s The Long Goodbye – a few years earlier starring Elliott Gould. 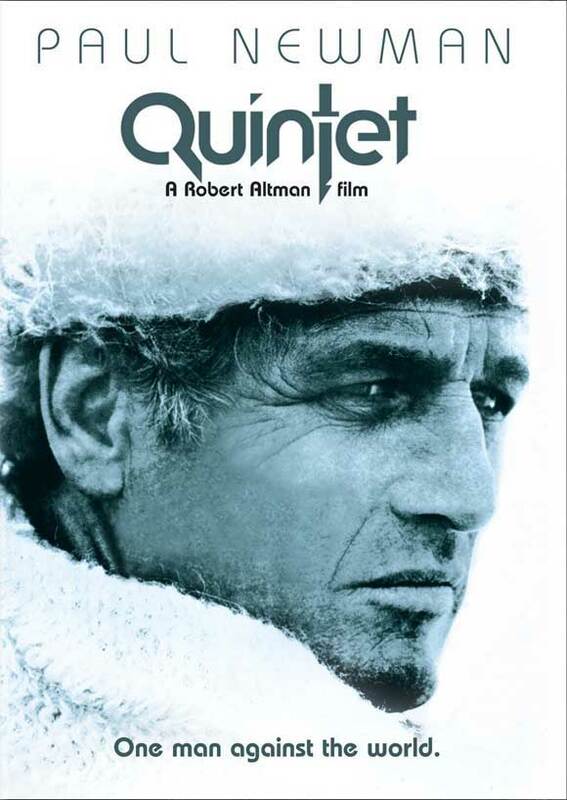 Altman said that he had been working on the script for Quintet eight years before he shot the first frame. 20th Century Fox was curious what Altman was doing up there as he went over budget with his extravagant set. The game of Quintet itself had become a way for escape from the horror of the elements. Every time I watch Quintet I spot another detail. Like sculptures of dogs eating corpses in the town square as though it’s such a common occurrence that it’s recorded like a still life. The music score goes from ambient to bombastic to convey the dreamlike bleakness of the environment but gets interrupted by a act of brutality. Altman was really thinking outside the box on this one. Watching the DVD extras, he sounds proud of his achievement even though people didn’t quite get it. I believe if he had released the film four years earlier (pre-1977) it may have been received better. After ’77 when people thought science fiction they thought blockbuster style sci-fi like Star Wars, not something as bleak and cerebral as this . Sadly Quintet hasn’t been remastered and released like it should be. I would like to see Criterion tackle that one. Perhaps it will in the future. With a shift in more cerebral science fiction in recent years perhaps people will want to take a second (or third) look at the Altman film. This entry was posted in Essays, Film, Filmmaking, Reviews and tagged 20th Century Fox, Bibi Andersson, Film, Paul Newman, Quintet, reviews, Robert Altman, science-fiction. Bookmark the permalink. I adore this film! Altman was always surprising us with his genius! Yep, it’s a great film – waiting for the Bluray which I hope is soon. Enjoyed this film 2nd time around when i wasnt so distracted by everyday life, 2nd viewing sick at home with a bad cold, enjoyed alot, music and invested the time to watch, no distractions, alone at home,. This is up there with other altman movies, images had the same effect on me 1st time around. altman and ashby are some my favorite directors from the 70’s..